Our country faces a crisis of historic proportions. 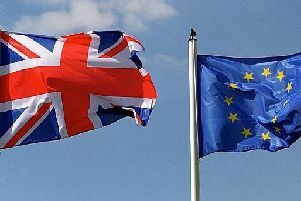 The narrow result of the 2016 referendum on the UK’s membership of the European Union, followed by the hung Parliament delivered by voters in the 2017 General Election, has left us in a state of political paralysis. Now we know that there is no majority in Parliament for the Prime Minister’s negotiated Brexit deal, which is not surprising. Indeed, the Government’s own figures show the deal outlined in the Chequers plan will make us almost four per cent worse off than if we were to remain in the European Union. And the Attorney-General’s legal advice is that Britain faces many years of ‘protracted and repeated rounds of negotiations’, from a position of considerable disadvantage, before we can expect a permanent deal on which businesses can plan their investments, and families and individuals can plan their lives. Two and a half years of protracted Brexit indecision has been slowly turning our country into a laughing stock on the world stage. It is against this background that I am begging you to put your party loyalty aside and stand up for your constituents and the national interest by backing the cross-party campaign for a People’s Vote, with a choice of whatever version of Brexit the Government wishes to put forward against the option of retaining our EU membership and all of the benefits that go along with it. It is only by going back to the people and letting them decide that we can finally move on from this crisis.